It’s official! Kierra Sheard is now apart of the judging panel of BET’s hit gospel music singing competition ‘Sunday Best’, replacing CeCe Winans as a judge this season. Now, Sunday Best auditions begin in March 2014. With the show gearing up for season 7, the “You Don’t Know” singer, joins returning judges Yolanda Adams and, of course, Donnie McClrukin! Now that the 26-year-old beauty has gotten her feet wet in the world of reality TV with her family’s reality show, gospel recording artist is taking things a step further. 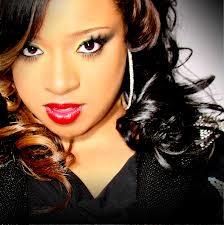 Mare sure you follow the talented gospel singer on Twitter for the latest updates @kierrasheard. With Season 2 of ‘The Sheards‘ on the way as well as her highly anticipated new studio album and the new judging gig, you this girl is highly favored! Do you think Kierra will make a good addition to the “Sunday Best” panel? ?